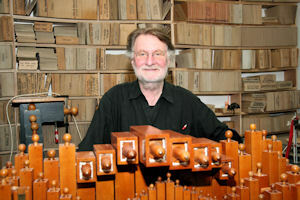 In this month's Paris Insights newsletter we meet Pierre Charial, whose job - noteur - is probably the rarest in the world. In fact, there are only four professional noteurs in all of France! 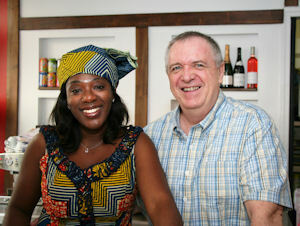 Edith Gnapié and Jean-Benoit Chauveau are co-proprietors of Ohinéné, a recently-opened Ivoiran restaurant located in the 20th arrondissement of Paris. Read about our splendid dining experience there in this month's Le Bon Goût. 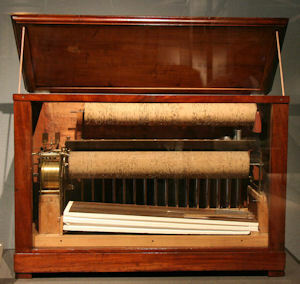 The instrument in this photograph is a mechanical organ, manufactured in Paris in the 18th century. Learn more about it in this month's Paris, Past and Present.